Merry Rusev Day, wrestling fans! 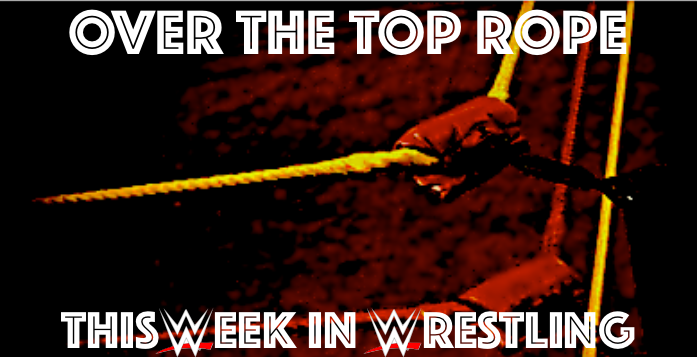 We’ve reached the second-to-last edition of This Week in Wrestling of 2017, and what a year it’s been. The return of the Hardyz, Kurt Angle wrestling in WWE after over a decade and the reunion of the Shield dominated headlines this year, but it truly was a fantastic year overall. We’ll be recapping our favourite moments from the year that was in next week’s article, but for now, let’s focus on the week that was! I’m @SpennyLove, and welcome to This Week in Wrestling! Best: It’s a toss up between a couple of tag teams, but I have to give my vote to the return of the Revival. I was fully prepared this week to write about Bobby Fish and Kyle O’Reilly of the Undisputed Era winning the NXT Tag Team Championships, but man, is it good to have the Top Guys back. While Cody Rhodes and the rest of the Bullet Club may disagree, Dash Wilder and Scott Dawson represent the pinnacle of tag-team wrestling today, bar none. Besides, the Shatter Machine may be the coolest finisher in WWE today, and it’s worth having them back even simply for that. Worst: What would you say if I told you that in the past year, WWE had debuted one of the best wrestlers Japan has ever had to offer? Not only that, but misused him to the point that he had absolutely no momentum heading into WrestleMania season? If you thought of Shinsuke Nakamura, you wouldn’t be wrong, but that’s a testament to just how poorly Hideo Itami was debuted. Formerly known as KENTA, he was regarded by names liken Daniel Bryan as the best wrestler in the world. While injuries have taken a toll since he moved to NXT over two years ago, there’s no excuse for how poorly he was called up to the main roster. Not only was his scheduled debut announced with little fanfare, but they had his first appearance on Monday Night RAW be to save Finn Balor from a Miztourage beatdown? Please. Itami deserves better. Worst: Dean Ambrose’s injury. Not only is the injury bad enough, the timing in which it happened just adds insult to injury – literally. He will definitely miss the Royal Rumble, and according to multiple reports WrestleMania 34. Bad break for him, and for the fans watching at home. Best: The return of the Revival. Unfortunately, it appears we won’t be seeing them vs the Shield for a little while (which was a pipe-dream of mine), but who have the Revival had a bad match with? These guys just work so well together, in every sense. The Bar vs the Shield was just getting too old. Definitely excited to see where the revival goes from here. Perhaps a title match at the Royal Rumble? It’s not like they don’t have time to build them up. Tag team wrestling has been one of the highlights of wrestling this year: This is a step in the right direction for 2018. P.S. There is no better finisher right now then the Shatter Machine. Worst: Dean Ambrose’s injury. While I’m sure a lot of people will point to kayfabe completely fu***** off for the announcement of the Women’s rumble match, I really can’t complain about that. It’s a pretty incredible moment for them. But a triceps tear to Ambrose is just poor timing at the moment. Not just for dream match reasons, but it’s the start of the Wrestlemania build and WWE needs all hands on deck. I would have loved to see where this shield reunion went (Heel Dean vs Face Seth, Shield vs Club, etc). Unfortunately, a torn triceps buts that in serious jeopardy. I’ve never been your biggest fan Dean, but the last few months have been great. Get well soon! Best: Matt Hardy Promo. After last week’s slightly disappointing and recycled promo, Matt Hardy struck gold this week. Interpreting the chess board as “The Great War” and “deleting” Sister Abigail was well done. He’s doing so good creatively, and the feud continues to hit his stride, even after last week’s hiccup. Worst: Dean Ambrose’s Injury. Dean Ambrose had surgery on his elbow and may be out 4 – 6 months. If that is the case, then it really hinders any Shield plans going forward. Though I admit The Shield reunion has not been the greatest, it could of led to some bigger story lines moving forward into WM season. Fan of him or not, Ambrose has been a workhorse in the WWE and this is the first time he’s been significantly injured. I wish him a speedy recovery, and hopefully the creative team does something for Seth Rollins as Roman has the IC title currently and will tentatively be facing Brock Lesnar at WM. Worst: Women’s Royal Rumble Announcement – This isn’t a knock on the match itself, but on the announcement. It threw continuity and common sense out the window for the purpose of some talent tears and a big reaction; not to mention Stephanie McMahon starting a yes chant? Weird. Mrs. Helmsley could have done much more by interrupting a brawl or something, I don’t know. There’s our list! What’re your favourite moments from the week that was? Let us know at @WCSportsCA, or in the comments section below! ← Rexall Place, We Bid Thee Farewell.